This Grade 2 house was built for The Rev John Mountford in 1812, and was probably designed by Benjamin Wishlade. The stonework on the front elevation is of astonishing quality and is particularly satisfying: every course diminishes from plinth to eaves. The house had a heavy portico added in the early C20, which obscured details and stonework. The owners were keen to replace this with a period piece which would be more sympathetic to the pleasing façade. And so permission to construct the portico shown here was sought and was granted. 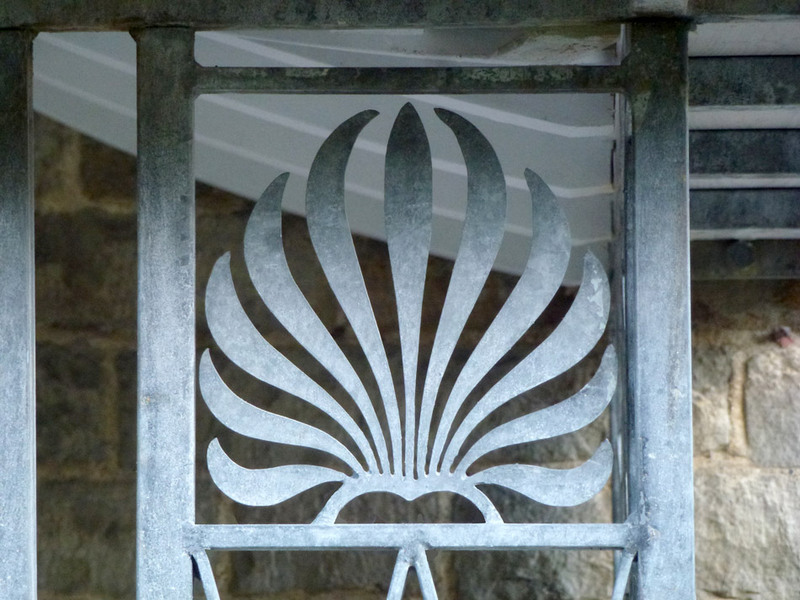 It consists of a decorative galvanised steel framework set on a moulded Forest of Dean stone plinth, and capped with a finely-detailed shallow swept lead roof. The design includes anthemions, a classical device based on honeysuckle and used frequently in ancient Greece, which were laser-cut from sheet steel. The galvanised finish will be painted at a later date.